Thanks to the green mermaid and the constant need for a rainy day pick-me-up, Seattle is one of the world’s top coffee cities…But I know that locals can get rather attached to their favorite coffee places. So I planned my own Seattle coffee tour to bring you this: Seattle’s best coffee, according to a tourist. 3 days. 2 coffee hunters. 1,292 coffee shops (after subtracting the 400+ Starbucks outlets). Whoa. I obviously couldn’t visit them all, but after cross-checking recommendations from The Stranger, Eater, Thrillist, and Sprudge, I had a handful of must-visit coffee shops around downtown and central Seattle. This gave James and I enough time to still actually explore attractions like Pike Place Market, eat actual food, and throw in some impromptu tastings! Besides just enjoying the coffee, we also spoke to the baristas whenever possible and soaked in the ambience since we’re tourists as well as coffee geeks. We were a little disappointed by the nearly ubiquitous pulling of double shots instead of singles, but apparently that’s West Coast coffee culture for you. Here’s my take on the best coffee places in Seattle – you can also view and save my Google map. Surprised that General Porpoise took the top spot? I was too, when I took that first divine sip of cappuccino – you seriously can’t blame me for not having high expectations from a doughnut shop with a hot pink Strada and elegant-chic vibe. Turns out General Porpoise typically features roasters from outside of Seattle to go with their fluffy puffy treats, and they absolutely kill it with their skills and smiles. My cup from Colombia was sweet and floral, while James’s Kenya Nyeri leapt out with its fruity citrus notes – almost as if General Porpoise had dunked one of its lemon curd doughnuts into the cup (and yes, the doughnuts are to die for.) Even though they’re not coffee roasters themselves, General Porpoise gets my vote as Seattle’s best coffee place. It was a close fight for top spot; Capitol Coffee Works looks and feels like the perfect hipster coffee shop, and it wasn’t even on my initial list. We passed by it in the morning, since we were staying at an Airbnb in Capitol Hill, and that New Coffee Smell (they opened in May 2017) easily lured us in. Capitol Coffee Works is actually run by Seattle Coffee Works, another pioneer specialty coffee roasters in Seattle that names its cafés according to the districts they serve. At this outpost my cappuccino was invigorating; the Panama Suarez had lovely berry notes with a clean finish, and the friendly baristas were happy to geek out with James since it wasn’t too busy. I really liked the ambiance and think I could’ve spent a few hours here, if not for the lack of food: the few pastry options here won’t be very satisfying, but Capitol Coffee Works is worth a stop in your itinerary for excellent coffee. Victrola was the first coffee roasters in Seattle that we hit upon arrival. It is, after all, one of the city’s specialty coffee pioneers. 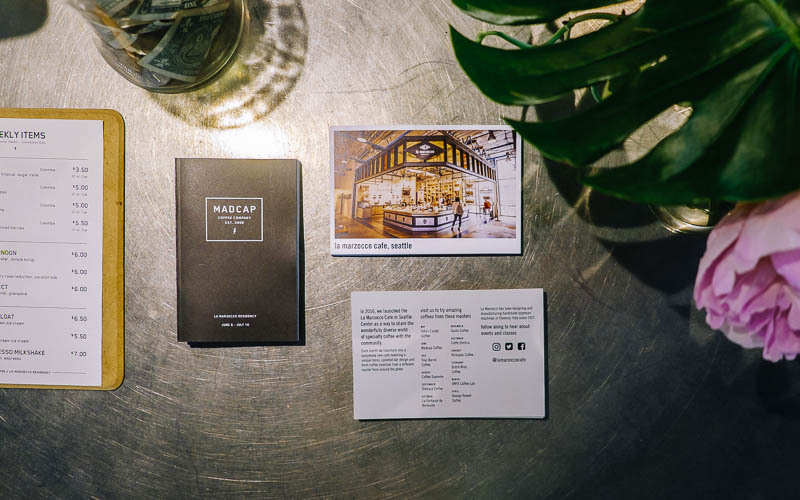 The calm, muted interior of the Roastery & Café on East Pike allowed us to focus on the drinks and the makers; since we were spoiled for choice with the beans available, the baristas patiently described each one so that we could decide what to order – all without dumbing down their explanations. We had a single origin (Kenya Nyeri) as well as Victrola’s own Streamline espresso blend; the Streamline was a good mainstream chocolatey coffee with a slightly heavy finish. If you’re thinking of visiting the Starbucks Reserve Roastery, go have a look and then drink your coffee here at Victrola! Although Stumptown isn’t a native Seattle coffee brand, I visited anyway just to have a taste. It seems this successful Portland, OR transplant gets a fair bit of hate from locals, which just proves my point about being attached to your favorite coffee place. Turns out, I liked it better than some of the more popular coffee shops in Seattle: the crew was happy to pull a single shot for us even though their standard is doubles. Sadly, the outlet we visited on E Pine St has since closed, though there’s another on 12th Ave that looks more spacious. Heading down under? 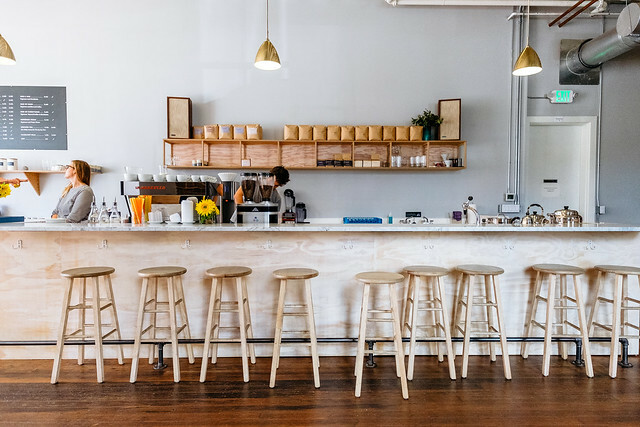 Sip on our list of Melbourne coffee shops to visit. The word for Elm Coffee Roasters, based on my one visit, would be businesslike. The baristas at Elm take their coffee brewing seriously, so much so that we were even served sparkling water to cleanse our palates before tasting the brews. Sadly Elm was rather busy when we visited, so we didn’t get to chat much with the baristas. If you do come here, try to get a seat at the bar – that’s where all the action is! Sadly this did not happen at the Pioneer Square outlet we visited. There was only one barista whom James felt to be “slightly condescending”, and this was when the shop was nearly empty with no crowds to contend with. It’s a good place to pop into for a coffee if you’re exploring the area, but I wouldn’t go out of my way to visit. This feels more like a museum/gallery than a proper coffee place, and while the coffee was decent if on the heavy side, the staff just seemed like absolute snobs behind their brushed steel counters – not one person bothered to engage in conversation despite us examining everything on display, even though they weren’t doing anything else. My expectations might have been too high, but I was hoping to have a much more immersive experience than at a typical coffee shop. Located at KEXP (radio station) Seattle campus, La Marzocco Café is a better space for freelancers and digital nomads than serious coffee drinkers. Métier is located right across the street from General Porpoise, so we thought we’d just pop in for a look. The aesthetic here is the complete opposite of its peer: the café sits within a roomy pro cycling shop, with lots of gear to drool over. I didn’t expect too much from the coffee since it didn’t seem to be the focus, but it tasted quite pleasant: strong blackforest notes and a lingering chocolate finish. They’ve got a rather substantial menu for food and booze, too, but all on the pricey side. There’s no other way to put it: the Starbucks Reserve Roastery is a coffee theme park. Pulling open the tall, heavy swinging doors, we were warmly welcomed by a staff member with a chirpy, wide grin plastered on his face. Child-friendly low shelf displays of Starbucks-branded paraphernalia littered the entrance of this tourist attraction; further back a large roaster stood on show, surrounded by sightseers, while the coffee bar (enclosure?) contained half a dozen smiling Starbucks baristas chatting with each other as they brewed pour-overs. Rolling with the concept of the place, we tried some innovative drinks like a nitro brew – which turned out to be like a smooth peanut butter milkshake, and much nicer than the dark, burnt house blend espresso. Despite all the beans and brews on show, this is still what Starbucks does best: fancy coffee-flavored beverages. Frappuccino, anyone? Are you a specialty coffee geek? What’s your favorite coffee place in Seattle? Loved this. Absolutely loved how you reported in detail all the coffee types you had. Would gladly copy your itinerary if I ever make it to Seattle! Haha I’ve actually left out all the tasting notes, I think that would be a bit too much 😛 You’ll definitely make it there one day!